Editor’s note: Alain Parcan is the Director of Marketing and Member Education at Market Hardware. Alain has worked in the web marketing world for more than 10 years and has an unbridled passion for educating business owners about web marketing. His marketing webinar for GoodTherapy, titled “Digital Marketing: Four Easy Ways to Generate More Clients,” is scheduled for 9 a.m. PST on February 25, 2019. Register or see more details. When it comes to getting your practice in front of potential clients in your area, a website is an essential piece of the process. 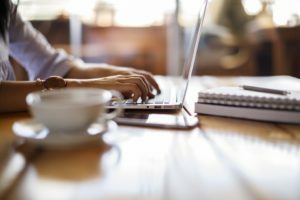 With more and more clients researching therapists online before contacting them, a professional without a website may be missing out on opportunities to find new clients. A marriage and family therapist might want to create FAQs for starting couples therapy or write a series of blog posts about specific relationship issues and the types of therapy that can be effective for treatment. If you specialize in cognitive behavioral therapy (CBT), explain the differences between that and other forms of therapy. Consider a blog post explaining the science behind it and what issues or concerns CBT is particularly effective in treating. If you primarily work with children or adolescents, write content about children and adolescents, but make it geared towards parents (in most cases, they will be the ones researching and choosing a clinician). Some ideas include content about issues you specialize in or tips for helping a child start therapy. Educational content helps win over hesitant clients who like to know as much as they can about a therapist before entering into what may be a long-term relationship. Customers will have an easier time trusting a provider with personalized media than they will with a cookie-cutter template site. Another way to stand out online is by posting high quality visual content that is unique and personalized. Therapists’ websites often fall into two categories. The first includes websites with low-quality, grainy images. The other category often involves websites that showcase the same stock images as dozens of other practices. The key is to find a spot in the middle ground that combines quality with personalization. Customers will have an easier time trusting a provider with personalized media than they will with a cookie-cutter template site. For example, people who visit your website should be able to see a picture of your office before they arrive, so when they do come for an initial intake visit, they feel a sense of comfort having seen the office already in pictures. Enlisting the help of a professional photographer or a friend/colleague with a high quality camera to take some photos of your office is a great way to let potential clients know they’re dealing with a real person. Push it a step further and have a professional produce a video where you explain who you are, why you went into the field, or why someone will be in good hands working with you. According to Google, about half of internet users look for videos related to a service before contacting a new business. Video content is an effective way of explaining to your audience who you are and what you do. If you’re creating personalized media on your own, don’t forget the small details that a professional photographer or videographer would typically advise you on: dress professionally, tidy up a bit, and make sure you’re presenting yourself and your practice as well as possible. If you’ve followed the first two steps, you’re on your way to a great website that is sure to stand out. There’s more to a great website than great content, however. User experience should always be the number one priority when designing a website, which is why it’s key to include a call-to-action (CTA). Typically in the form of a button, CTAs guide visitors through your site. Maybe you want to direct your visitors to schedule a free phone consultation. You should feature a noticeable, easy-to-find button on your homepage that says something along the lines of “Schedule a free phone consultation.” Once you link this button to a contact form, you’ve made the user experience as easy as possible for a potential client. When it comes to your website, quality design and content will yield noticeable results in the long run. It’s not enough to simply exist online anymore; you also have to be able to stand out. And there’s no better way to grab people’s attention than by building a website that is well-designed and full of smart, personalized content. Online searchers don’t settle for less, so neither should you.